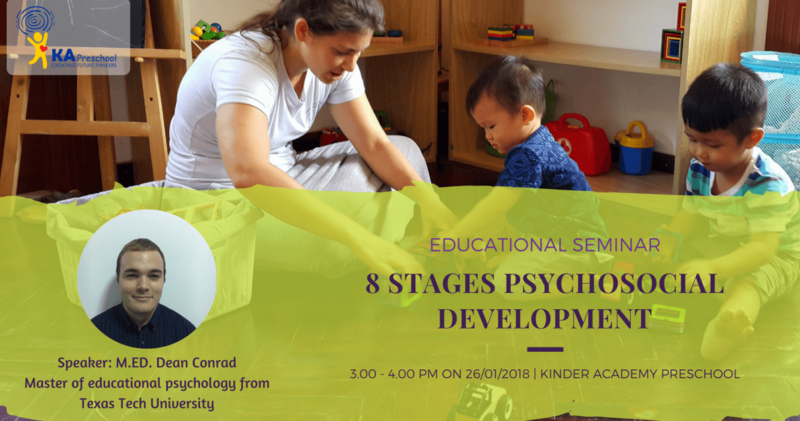 To demonstrate aspects of both positive and negative cognitive development of children, and how to appropriately react to each, Kinder Academy International Preschool invites you to participate in the educational seminar “8 stages psychosocial development”. The seminar will focus on Erik Erikson’s 8 stages of psychosocial development. In addition, speaker M.Ed. Dean Conrad will help explain the importance of the pre-school years, with specific information associated with cognitive development in social, personal and intellectual growth. Through this brief lecture, parents should begin to understand the powerful, yet sensitive minds of young children. M. Ed. Dean Conrad is the senior officer of educational outreach at the International Cognitive Development Center in Saigon. He has a master of curriculum development and design, along with a master in educational psychology from Texas Tech University. 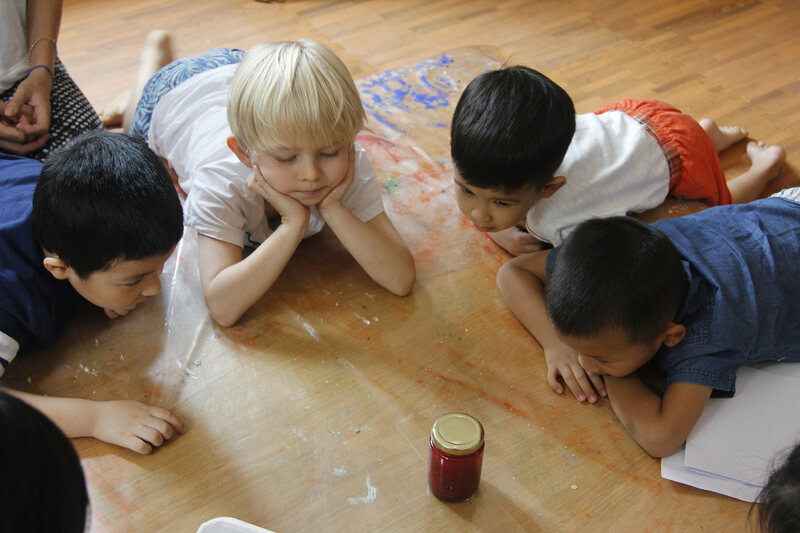 His research focuses on cognitive development through individually tailored curriculum amongst toddlers and pre-adolescents.